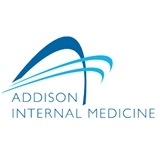 Addison Internal Medicine (Addison) - Book Appointment Online! Addison Internal Medicine is promoting health by treating the whole person for patients in Addison, TX and surrounding areas. Our experienced internists are eager to help ease existing symptoms and avoid future health issues. Whether you’re simply seeking preventive medicine services to protect your health or you need ongoing care for a chronic condition, Addison Internal Medicine can provide you with comprehensive solutions. Our internists use the latest medical technology to treat conditions from sleep disorders to heart disease. As Addison’s top internists, our specialists provide complete care in a comfortable environment. Whether they are performing a mole removal procedure or providing dietary advice for patients after gastric bypass surgery, our doctors offer the best in personalized service. We take the time to get to know each patient’s unique medical concerns before delivering recommendations and medical solutions. FABULOUS- I'm now much more relaxed. I found the doctor to be very friendly and professional. The nurses and PA’s were very personable and had no problem transferring me from my old PCP to this office. There’s even complimentary valet parking!